I have a great interview today. 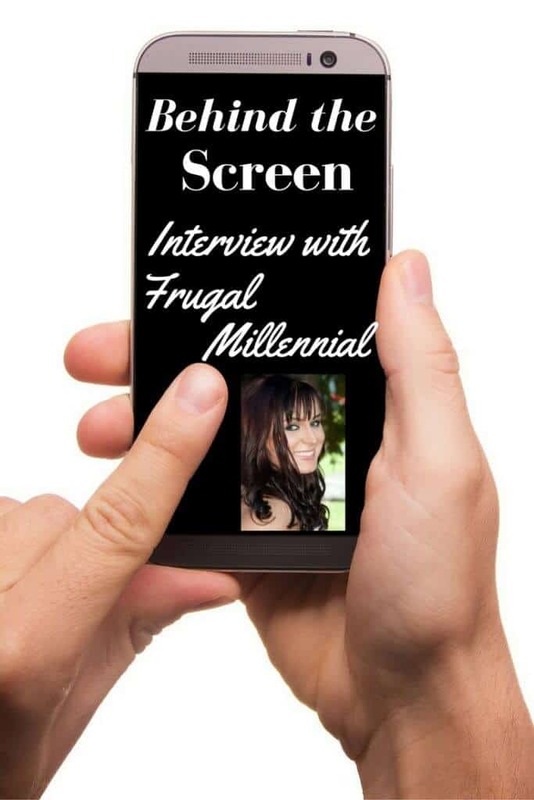 Jen from Frugal Millennial is here to tell us about her money journey. What I loved about this was how she was so open about her number and especially her student loans. I love how they are trying to do their best but do acknowledge that they have set backs like the rest of us. Mostly I’m impressed with how they have totally taken control of their finances. Take it away Jen! I went straight from college to grad school, and when I finished school I was buried in $75,000 of student loan debt. 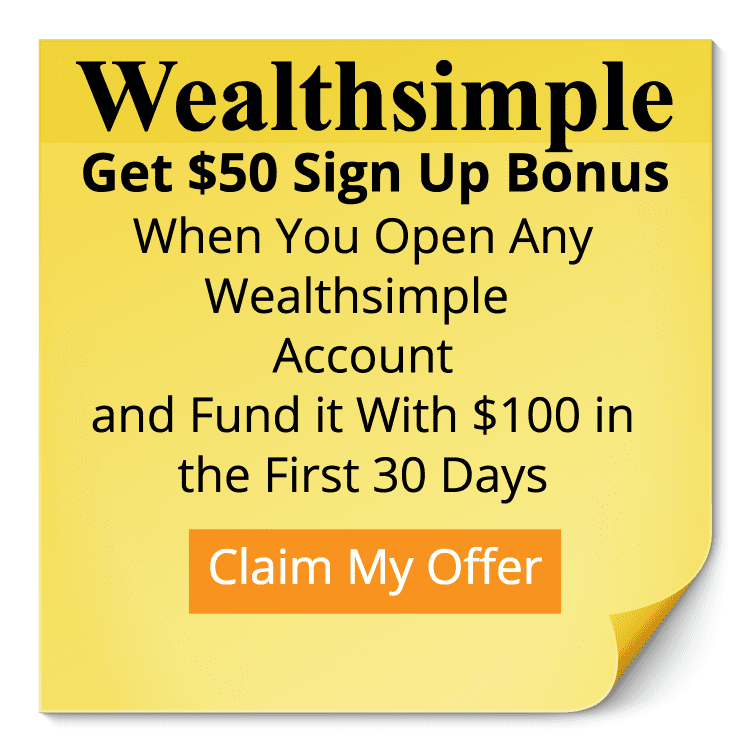 I had naively believed that going to a competitive business school would open doors for me and that I’d be making a high salary (so the debt would be worth it). My first full-time job paid so little that 50% of my income was going toward my student loans. I soon realized that my debt was not worth it and I had no idea what to do. I told a friend that I wasn’t sure what to do about my massive debt, and she recommended Dave Ramsey’s book The Total Money Makeover. After I read that book, my entire perspective on money changed. 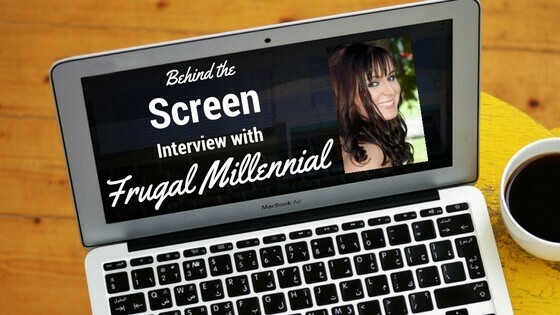 I also learned a lot from other blogs, particularly Millennial Money Man. M$M lived with his in-laws so that he could pay off all of his student loan debt in just a year and a half. I realized that I could do the same thing. I have more debt, so it’ll take longer, but it’s possible. I decided to rent a room from my parents so that I can pay off my loans in just three years, which will save me tens of thousands of dollars in interest. My hubby and I are both buried in student loan debt – together, we started with a grand total of $117,000. We are currently down to $80,000. We had a lot of expectations about what our lives would look like after finishing school, and we had to make changes to our plans. We had to accept the fact that our life is going to be very different from how we imagined it. My hubby and I have learned to stop caring what other people think and to stop doing things just because those things are “normal.” “Normal” in the U.S. means having multiple forms of debt – credit cards, mortgages, student loans, car loans, etc. We don’t want to be “normal” anymore. A lot of people think that we’re crazy for living with my parents and being so frugal, but it’ll be worth it when we’re debt-free. My hubby is a spender, so managing his spending habits is still a challenge for us. He has become much more frugal, but he still has his guilty pleasures, like the occasional trip to Starbucks or lunches out. The biggest challenge for me has been the “comparison trap”. I try not to compare myself to others, but it can be tough not to. We are constantly bombarded on social media with photos of our friends buying houses, starting families, and traveling the world. Sometimes it’s easy to feel like we’re missing out. When I feel this way, I remind myself that I can never know everything about someone else’s situation. Someone who seems to “have it all” might be racking up debt. Being super frugal can be tough (even for a saver like me), but the outcome (debt freedom) is absolutely worth it. I don’t really have too many bad money habits. I am a saver by nature and I’ve learned to stop caring what others think, so I no longer allow that to affect my spending habits much. In terms of bad habits, I probably will be too much of a saver in the future…once we’re out of debt, I’ll probably save more than necessary and will probably never feel secure. The one thing I do spend too much on is food. I eat a whole food diet, which makes it more challenging, but I’m also a very picky eater and I don’t like to try new foods. This is one area where I could definitely save more money if I were willing to be more flexible. I wouldn’t take out student loans. When I was 18, I really believed that my only options were taking out student loans or not going to college and spending the rest of my life flipping burgers. It’s sad how many kids believe that student loans are their only option. If I could do it all over again, I would work for a couple years, save up money, and then get a two year degree. I probably wouldn’t get a four year degree unless I could find a way to pay cash for it. I would live with my parents for a couple years after college in order to save up enough money to buy a house. My proudest accomplishment so far is paying off about 40% of my student loan debt. It will be an amazing day when I make my last student loan payment (which will hopefully be sometime during 2018). Dave Ramsey! His book changed my life. There are also a ton of great personal finance bloggers out there who are constantly inspiring me and keeping me motivated on this journey to debt freedom. A lot of people in my life don’t really “get” frugality, so it’s nice to chat with these fellow bloggers who do “get” it. My biggest mistake was taking on $75,000 of student loan debt. I took on about $40,000 for my undergraduate degree in psychology. The recession began while I was in college, and I started getting really nervous about being able to find a “good” job with a liberal arts degree. I knew other psych grads who were working multiple restaurant/retail jobs just so they could scrape by. I was worried that I’d be trying to pay off $40,000 of debt with a minimum wage job, so I decided to get a master’s degree in a more practical field (business). I knew I would be taking on additional debt, but I thought it would be worth it because I would be able to find a better job. It seems kind of ridiculous in hindsight… I was worried about my debt, so my solution was to take on more debt. My first money lesson was that debt is always bad. Period. It’s not “worth it” just because you have a degree that makes you a more marketable job candidate. It’s not “worth it” because it enables you to go to your dream school. It’s not “worth it” because it leads to a somewhat higher salary. When I completed my “student loan exit counseling”, I was told that I would need to be making a six figure salary in order to make my debt “manageable”. How many brand-new graduates start out earning over $100k per year? Not many. Yes, I make more money with a master’s degree in business than I probably would’ve earned with a bachelor’s degree in psychology. But I also have more debt, and that debt has had an enormous impact on my life. My debt keeps me from moving out of my parents’ house, buying my own home, traveling, and starting a family. It makes me cringe when I see people spending money just to impress someone else. Often, people think they should just do what everyone else does or do whatever is considered “normal.” My biggest regret in life is giving in to the expectations of others. I spent more money on my wedding than I should have because I thought having a big wedding was “normal”. Being “normal” is a dangerous goal. “Normal” people are in debt! I no longer want to be normal. I’m definitely a saver! I used to splurge a little on certain things occasionally, but now that I’m paying off massive debt, I’ve become extremely frugal. I always make to-do lists. I’m a bit neurotic about keeping things organized. I feel calmer when things are organized and uncluttered. Coke or Pepsi? I don’t like either. Haha that pigeon comment was good! Hopefully the M.B.A. will eventually pay off for you but that’s definitely a challenge I was cautious about when I went back for my M.B.A… They’re expensive! Hopefully it will pay off in the long run, but it definitely was insanely expensive! Liberal arts majors unite! I used to love taking psychology, anthropology, and political science courses in college to the tune of $5000 per course or whatever it came out to. If I could go back, I probably wouldn’t do it that way again but I guess it made me a more well-rounded, well-informed person? I can definitely relate. I loved my classes so much, but my major definitely wasn’t worth the cost (at least for me).